Script python (6) : to product "potatoide"
Python and EnvMap : To bind a script python to determine automatically the position relative of the camera to a plan. 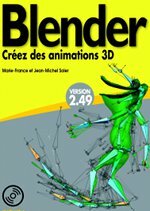 Blender 2.27 GUI and former. Under construction (to be continued).